Chris Young knew he couldn’t miss again. 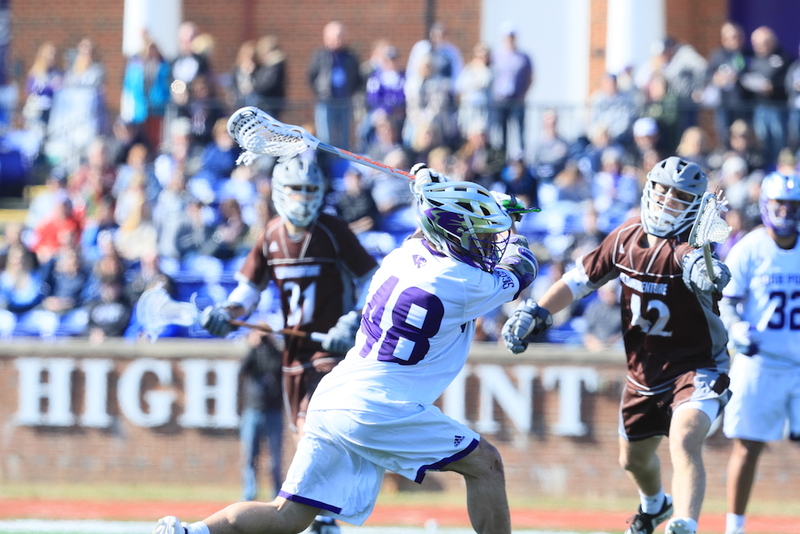 On Feb. 6, then-unranked High Point traveled to Durham, North Carolina, to face then-No.2 Duke. Young had already scored three times, but an earlier doorstep-shot got stuffed and the miss stayed with Young. So in the fourth quarter, Young noticed empty twine up three, ripped and scored. Just three years earlier, Young was at Penn State, struggling for playing time as a faceoff specialist — the position he’d been recruited for at two different schools. But with a background in box lacrosse, Young grew up playing every position. After the seventh game of the 2017 season, Young stopped taking tries at the faceoff-X. Now a permanent attack, he scored 16 goals in 14 games his redshirt-sophomore year. This season for No. 13 High Point (9-2, 3-1 Southern), he’s already scored 36 in 11, a per-game scoring-average high enough for ninth in the nation (3.27). Once under-recruited as a faceoff specialist, Young went off the board at 28th overall in this year’s Major League Lacrosse Draft, taken by the Ohio Machine. “The way that he plays attack you would think he’s been playing it his whole life,” teammate Asher Nolting said.